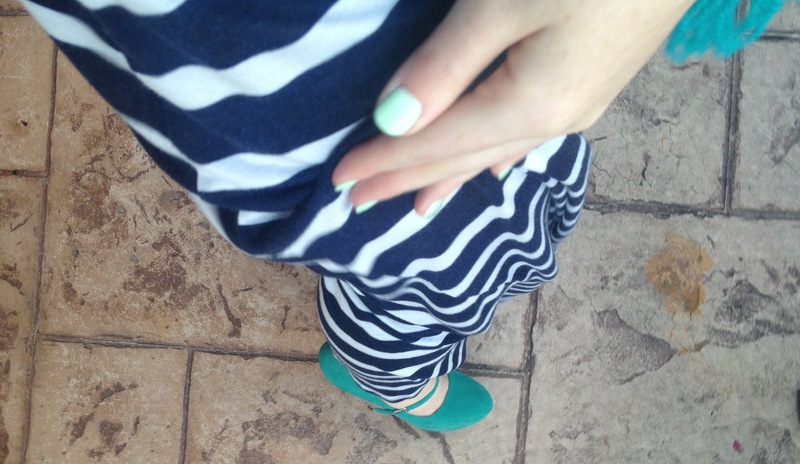 I am absolutely loving green at the moment – in my outfits, accessories, nail polishes and make-up. The brightness of the colour is great in the winter season to add light to the more dull colours on our winter colour pallet. By emphasising colour in shoes, bag and accessory choices, it really does achieve a much brighter feel, which I believe is vital in the cooler weather. 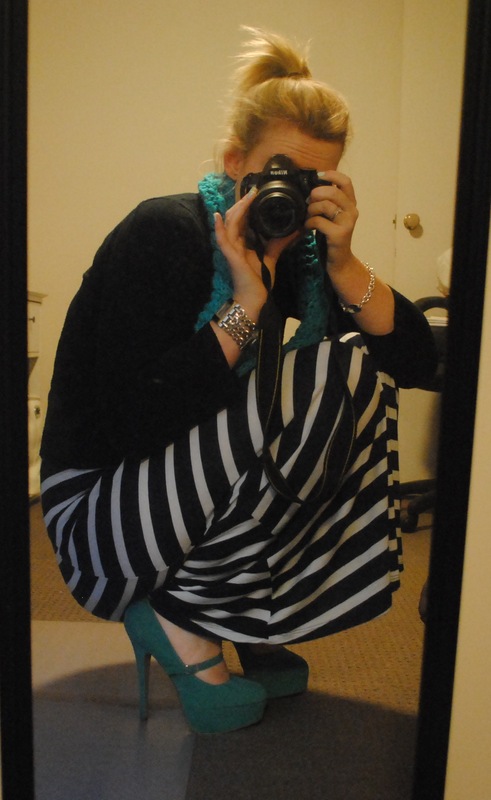 Today was such a gorgeous day in Brisbane ,so I wanted my outfit to feel and look bright and breezy. To get this look I paired what was a simple black and white maxi dress and a black cardi with a bright green scarf, pumps and polish to brighten up the look. 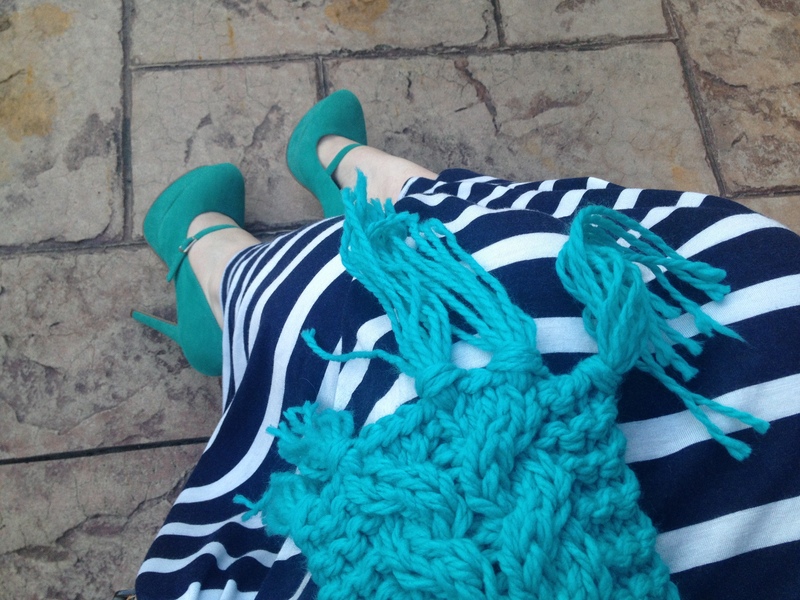 This entry was posted in Home and tagged beautiful, black, colourblock, dress, fashion, green, heels, maxi dress, nail polish, outfit, scarf, Style, trend, white, winter on June 23, 2013 by teganjustice.